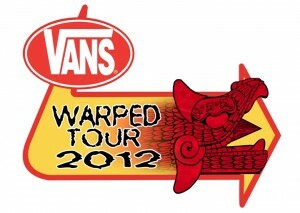 You can purchase VANS WARPED TOUR 2012 tickets as of 3/30. Most discounted tickets are sold out, but a few venues still have them available. If you missed out you can still buy the non-discounted tickets here. The full VANS WARPED TOUR 2012 multi-stage line-up has now been revealed including Rise Against, who will join other previously announced main stage artists All Time Low, Taking Back Sunday, Anti-Flag, Yellowcard, The Used, Four Year Strong, New Found Glory, Pierce The Veil, Falling In Reverse, Breathe Carolina and more. The VANS WARPED TOUR–a mix of hotly-tipped and established artists–continues to be the most eclectic traveling festival tour on the planet featuring rock, punk, pop, hip-hop and rap, metal, indie rock, electronic, alt-country, folk-punk, dubstep, reggae and rockabilly. For the full list of confirmed artists, visit: www.vanswarpedtour.com/bands. TERRIBLE THINGS featuring Fred Mascherino (Taking Back Sunday), Josh Eppard (Coheed & Cambria), and Andy Jackson (Hot Rod Circuit) continue to build momentum for their as-yet-untitled major label debut full length, due late summer on Universal Motown. Terrible Things premiered their first single “Revolution,” which is available now digitally via iTunes and ShockHound. With this tremendous outpouring of interest and attention, the anthemic singalong is poised to be a Modern Rock hit. “Revolution” and the upcoming album was produced and mixed by Jason Elgin (Maylene And The Sons Of Disaster, Collective Soul). 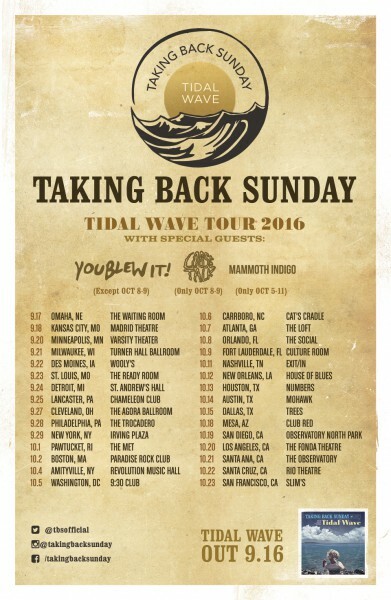 Terrible Things have been added to the West Coast and Canadian dates with THE OFFSPRING and a one-off with 30 Seconds to Mars. Currently on the road with Anberlin and Story of the Year, they are also locked in for the 2010 Vans Warped Tour, starting July 28th and straight through August.